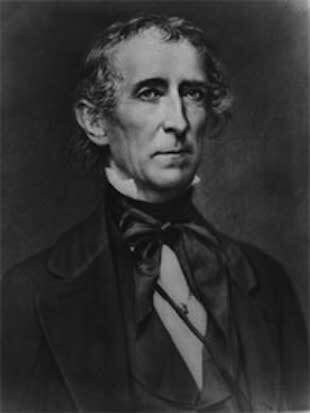 Former President John Tyler, born 221 years ago, still has two living grandchildren. The one-term president isn't a well-known historical figure; he's probably best remembered for helping to push through the annexation of Texas in 1845, shortly before leaving office. That means just three generations of the Tyler family are spread out over more than 200 years. President Tyler was also a prolific father, having 15 children (8 boys and 7 girls) with two wives. He even allegedly fathered a child, John Dunjee, with one of his slaves. Some context on Tyler's progeny: Jane Garfield (granddaughter of James Garfield) is 99, making her the oldest living grandchild of a former president, even though Garfield took office 40 years after Tyler. Former Ambassador John Eisenhower is the oldest living presidential child, turning 89 this past August. He joined the South's secession efforts shortly before his death and was even elected to the Confederate House of Representatives. Because of his Confederate ties, Tyler's is the only presidential death not officially mourned. Tyler ascended to the presidency in 1841. Other things that happened that year: Canada became a nation; the United States Senate has its first filibuster, lasting nearly a month; the city of Dallas, Texas was founded. Tyler was the first person to ascend to the presidency through succession as vice president.